Storing Your Belongings Is EASY With Us! 4 Simple steps to store your things with Secure Student Storage! Pickups scheduled at your convenience. We pick-up from either your Dorm or Apartment in the New Orleans area. The storage facilities are climate controlled and equipped with a security network. Deliveries will be arranged by the student to be dropped off at the end of the summer. We offer ground shipping at your request. Secure Student Storage & Shipping is locally owned and operated, and has been serving students at the universities (Tulane, Loyola & Xavier) since 1993. We are listed in the New Orleans Yellow Pages and on the internet at www.secure-student-storage.com. Secure Student Storage had NO FLOOD DAMAGE in 1995 or 2005, meaning your belongings are safe with us! Students will be searching for either a place to store their belongings over the summer, or someone to ship them home. We are pleased to offer both of these services to students. In addition we also sell boxes for your stuff! 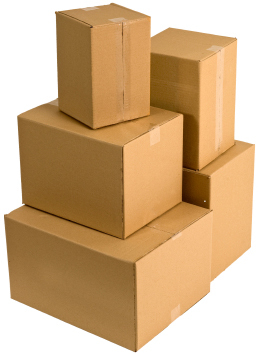 These boxes will be delivered to your dorm's quad by appointment. Storage on CityOf.com/NewOrleans a member of CityOf.com - More Local... FASTER.